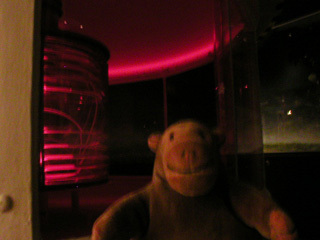 Mr Monkey particularly liked the display about the development of lighthouses in Sweden. 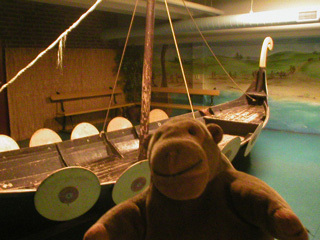 On the way out of the museum, he accidentally took a wrong turn and found out that they had got some ships, but they were only for children to play on. Around the corner from this Viking longboat and Viking benches, there's a galleon and a desert island.